Koren Paalman, MS, is Iyengar certified and has been teaching yoga nationally and internationally since 1995 to both adults and youth in a variety of settings. In 1998, Koren developed the first yoga program for credit at Los Angeles Unified School District and taught daily classes to at-risk teens. She was honored to work therapeutically with BKS Iyengar and his daughter Geeta in Pune, India biannually for 10 years. In 2007, Koren founded Conscious Grieving®, a grief support service that combines yoga with other modalities in individual consultations and workshops nationally. 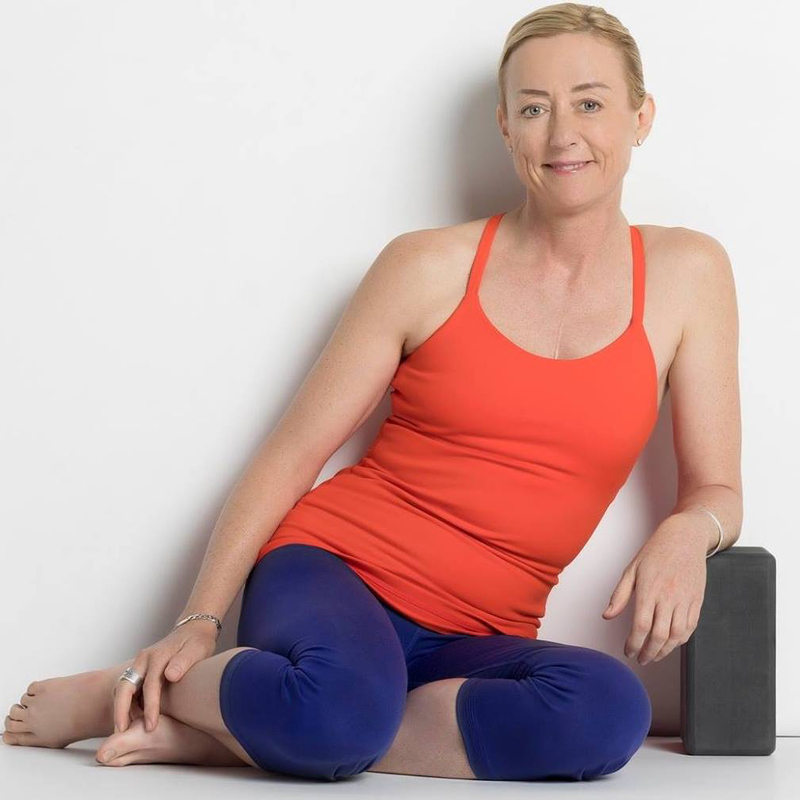 She is certified by the International Association of Yoga Therapists, and worked directly with Elise Miller to become a Yoga For Scoliosis Teacher Trainer. Living with a wired sternum plate since 1964, Koren understands the benefits of using yoga therapeutically. In her practice, like a practice for scoliosis and backcare, she has learned how to lengthen her spine, realign her posture, strengthen her back and core muscles, reduce her pain as well as bring about deep breath awareness. This has been deeply and positively transformative for both her body and mind. In her home studio, Koren works privately with students interested in using yoga to minimize the effects of both structural (congenital) scoliosis and functional (result of lifestyle) scoliosis. She also offers yoga for backcare. Koren teaches at various YogaWorks locations as well as The Iyengar Yoga Institute of Los Angeles. She also offers workshops and retreats. Koren believes yoga should be enjoyable so infuses each yoga experience with enthusiasm, humor, compassion and intelligence leaving people energized, refreshed, motivated and restored. ** Koren is an Iyengar Certified Instructor who has done additional training with Elise to become a Yoga for Scoliosis certified instructor. She is highly qualified because of her Iyengar training and has a deep understanding of how to work with scoliosis.